Any society is only as good as the support it recieves from its supporters and followers, therefore I am appealing to all of you to contribute in any way you can to help us get this society off the ground. Perhaps you’re a professional historian who is looking for an alternative location to publicise your work, or you may be a keen amateur historian with a mindful of theories and ideas that you are looking to share with other like-minded individuals. 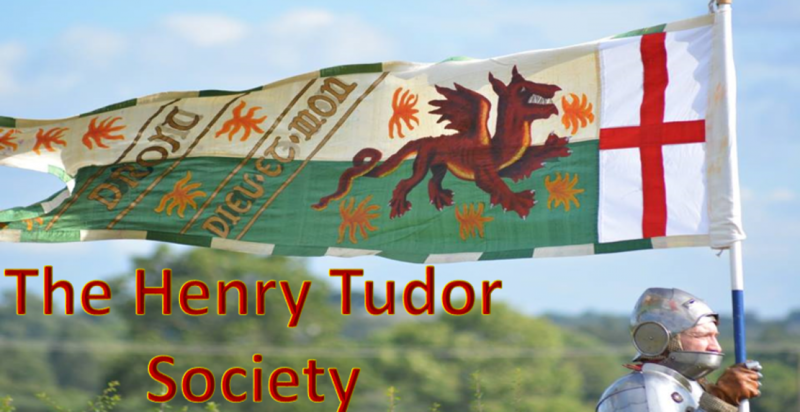 Whether you’re a writer, a photographer or a reviewer, send us your work via henrytudorsociety@gmail.com and we’ll seek to publish it on the website. All entries are welcome and you’ll naturally be credited! Although many believe the Tudors had no claim to the English throne people forget that there was no written law in those days as to the right of succession. It was generally accepted you could rule by any one of three means. 1. Being the eldest male heir (female where appropriate) 2. By invitation of parliament (i.e. James 1; George 1;) 3. By combat (i.e. William the Conqueror) Henry V11 ascended the throne via the latter clause and therefore had a perfect right to sit upon the throne. Richard 111 on the other hand did not adhere to the above and simply usurped the title from the rightful heirs. In addition to the above, all clearly correct and relevant, many Yorkist leaning sympathisers also conveniently forget that Henry Tudor, through his mother’s side, was actually ninth in line to the throne.